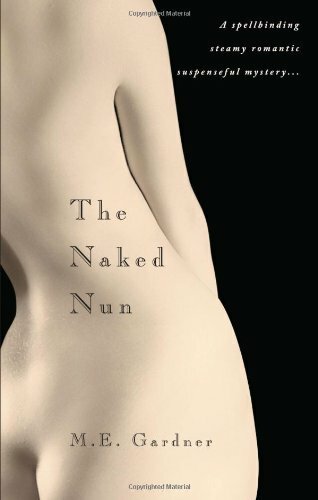 For additional information about this book, visit the website www.thenakednun.com. After decadent luxury and lust, star crossed lovers seal their fate in a night of terror... Revenge brings down top crime family... Main character enters Witness Protection Program as a nun, then is sent to a convent shrouded in sadistic mystery. M.E.Gardner enjoys a multi-faceted career as an author, private pilot, accomplished equestrian, and portrait artist of international distinction. Her subjects include Princess Grace of Monaco, President John F. Kennedy, V.I.P. 's of corporations and museums, European nobles, socialities of many nations, and animals' wild and domestic, especially horses. Nick-named "The Flying Artist," her emblem of the winged horse Pegasus reflects her two loves of horses and flying. The author is a member of the National League of American Pen Women, The Portrait Society of America, Romance Writers of America, The Society of the Four Arts, The International Society, The Round Table, and others. She has been knighted into the prestigious 900-year-old order of The Knights Hospitallers of the Sovereign Order of St. John of Jerusalem, Knights of Malta, and also the Byzantine Order of St. George, Knights of Malta. M.E.Gardner is the daughter of world renowned portrait artist Frederick Roscher, and is presently writing his biography, to be titled The Portrait King. Also a homemaker, she lives in Florida with her husband, industrialist William Gardner, dubbed "Mr. Helium," the founder of Gardner Cryogenics, now a division of Air Products and Chemicals, Inc.